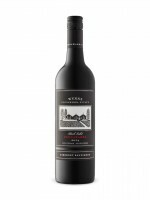 One of Australia’s most consistent and classic expressions of Cabernet Sauvignon, Wynns Black Label never fails to deliver a rich and flavourful red wine, with textbook dark fruit and savoury notes. Since its debut in 1954, Black Label has looked to harness the potential of Cabernet Sauvignon vines grown in Coonawarra's fabled terra rossa soils. The 2014 vintage benefited from a long and even growing season that plays to Wynns classic house style. The concentration and persistence suggest this was built for the cellar, but is enjoyable now if you’re not inclined to wait. Drink now to 2035. Highly Recommended.